May I be bold? In many ways, the Great Alpine Road is even more spectacular than Victoria’s Great Ocean Road. After all, the Great Ocean Road has a descending number of Apostles as the ocean keeps claiming them. Come and travel along The Great Alpine Road. The Great Alpine Road, on the other hand, starts modestly enough at its northerly Wangaratta end – 60km or so southwest of Albury-Wodonga and the Murray River – and finishes just as discreetly in the wonderful Gippsland region near Bairnsdale. But at its heart the trail builds to a magnificent crescendo in the sections between Bright, Harrietville and Omeo, peaking at some 1750m at the usually frosty Mt Hotham. Diverse scenery, plunging waterfalls and cliff-top panoramas can’t help but inspire; traversing the Australian Alps way beyond the blue gums and zigzagging throughout, this 308km touring gem (without detours, that is, of which there are many – and delightful they are too) provides views covering the very roof of the country. The last leg of the journey, back again at sea level, promises – and delivers – coastal horizons and glimpses of the Gippsland Lakes, a change indeed from the rocky escarpments and thicket of alpine valleys. And the drive itself is, in a purely engineering sense, a cut above the average. Especially for the long and winding climb from the Ovens Valley floor to the summit just alongside Mt Feathertop, with the mighty Mt Bogong and Mt Buffalo peaks in the distance. Various spectacular side trips exist, whether via short drives, on horseback or hiking on foot. At the beginning of the Alpine Road itself, a quick diversion will take you through one of the country’s premier gourmet regions: Milawa Cheeses and Milawa Mustards may yet achieve “household name” status, but Brown Brothers wines are certainly already there – and all are here in tiny Milawa. During the warmer summer months, a walk from Mt Hotham passing the Red Robin Goldmine to Mt McKay and attractive Falls Creek is eminently rewarding. Autumn brings ochre and rusty red tones to Bright, making the always-striking little town that much more tempting. And as winter creeps in, sip on hot chocolate as you take in the stunning view from the Gorge Lookout at Mt Buffalo, where steep ridges peak through a blanket of cloud. 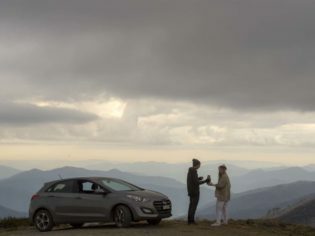 Then take a drive to Hotham itself, that winter wonderland famous for skiing of all varieties, with vantage points commanding views of the state’s second highest peak, Mt Feathertop (only imposing Mt Bogong is higher). For the dedicated driver, the Great Alpine Road is sealed throughout and offers a high standard of lodging options. The tranquil – and very different – setting of Dinner Plain is just ten minutes downhill and east of Hotham and takes in hills clad with snow gums and towering alpine ash, wildflowers in summer and snowflakes in winter, and is for year-round admiration; a distinctive architectural design sets it apart, with original cattlemen’s huts providing a uniquely Australian alpine experience. Dinner Plain is also an ideal base to explore the surrounding Alpine National Park, with abundant summer accommodation and basic camping available, and plenty of incredible day hikes ranging in distance and ability, from easily achieved to challenging and spectacular. The rare sight of a waterfall among snow gums rewards intermediate walkers who take the 2km return track to Carmichael Falls, while the gentle 3km Room With A View loop trail abounds with morning views across the snow-gum forest, natural meadows and out to Mount Hotham, Mount Feathertop, the Bogong High Plains and the Cobungra River. More experienced hikers make the pilgrimage to the famous 22km return Summit Walk along the Razorback ridgeline and the very peak of Mount Feathertop, reaching 1922 metres and spending plenty of walking time above the treeline, here on Victoria’s second-highest mountain. The proliferation of eucalyptus trees has embroidered the land longer than we know – so make the most of the scenery. The trick, and it’s an easy one, is to drive in a southeasterly direction towards Gippsland in the afternoons, away from the sun. Alternatively, tackle the other direction early in the morning. Although the road does wind around a bit, it’s twice as easy to drive with the sun behind you. Given the number of crests and sharp corners en route, this a serious factor to take into account when planning your trip schedule. Bear in mind: alpine conditions can change in an instant, no matter what the time of year. Not only is this safer, more enjoyable and cooler, but without the sun’s glare you’ll really get a chance to see what this part of the country has to offer. And it offers plenty. Where: Begins on the Hume Highway at Wangaratta and stretches some 308km to Bairnsdale, Victoria.